This tutorial is designed to provide basic instruction on the myWSU registration process. If you encounter problems along the way or receive error messages that are not clear, we encourage you to contact Kim Mickey at k.mickey@wsu.edu for assistance. Follow the steps below to enroll for classes in myWSU. Enrollment for each term opens in myWSU at about the same time every year; in March for the summer term, in April for fall semester, and in November for spring semester. From your myWSU Student Homepage, select the Tasks tile. The Tasks section provides information on To Do List items and active Holds. To Do List items communicate the status of tasks that you need to be aware of, such as applying for financial aid. Holds block your ability to register for classes, drop classes, or receive transcripts. The Hold Details screen will tell you what hold you have, the semester the hold impacts, and who to contact if you have questions. From your Student Homepage select the Manage Classes tile, and then select Enrollment Dates to view the date and time you’re eligible to enroll in the upcoming semester. A. Within Manage Classes, select Class Search and Enroll then choose the term in which you want to enroll. B. In the Search for Classes field, enter the course subject, course number, or topic the class covers. C. Select Global Campus from the left navigation Campus menu to show only courses offered online through Global Campus. Otherwise choose the campus based on your program location assignment. D. Once you’ve identified a course you’d like to know more about, select the course. E. Information about the course will be displayed in two menus, Course Information and Class Selection. 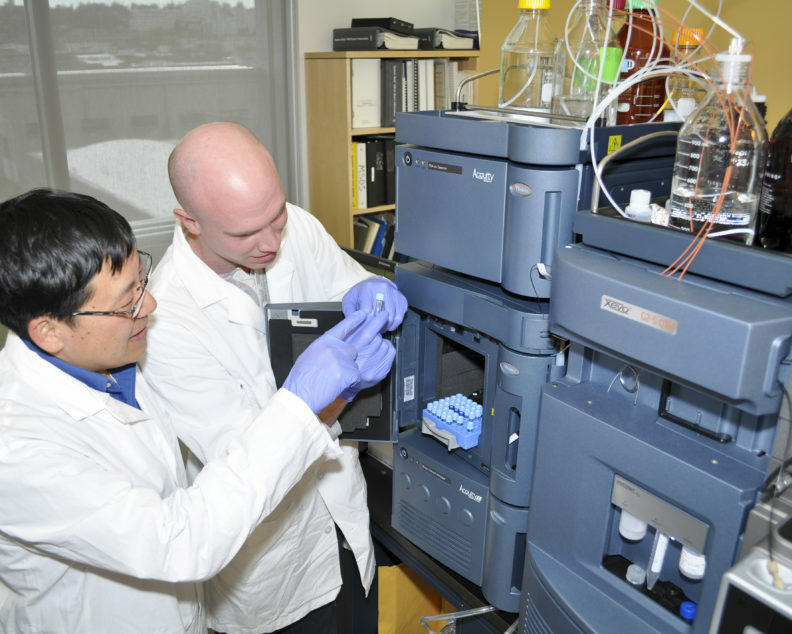 Course Information: Provides the WSU course catalog description and basic course details. Class Selection: Additional details such as status, session, class, meeting dates, and seats will be displayed. Pay special attention to the Session and Meeting Dates. Select the Class hyperlink for additional course information. Example: Lecture – Section 01 – Class Nbr 9368. Special Course Fees, if any. Class Note provides a web address to the Global Campus course information page. Copy and paste the web address in your browser to learn about required course materials, textbooks, possible proctoring requirements, and to access previous class syllabi.Heads up! The course information page may not list details until a few weeks before the semester begins. If no information is listed, be sure to check back. Class Attributes will indicate if the course fulfills a UCORE. G. If you’re ready to add the course to your shopping cart—and ultimately enroll—close the Class Information pop-up window and select the arrow on the right side of the Class Selection menu. Part 1 – Review Class Selection: Check that you’ve selected the right course. Part 2 – Review Class Preferences: If the course is full, here’s where you can request to be added to the waitlist. After you indicate Yes or No, you must also select Accept to continue. Part 3 – Enroll or Add to Cart: Choose Enroll or Add to Shopping Cart. Note: You will be unable to enroll before your enrollment date. Part 4 – Review and Submit: Review the course one last time. Select Submit to either enroll in the course or add it to your shopping cart. From your Student Homepage, select Manage Classes then Shopping Cart. Select the term in which you want to enroll. 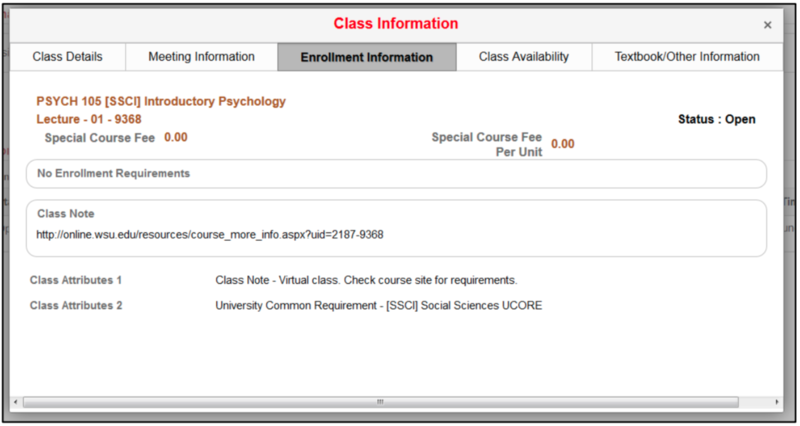 Select the checkbox shown with the course(s), then select Enroll. You can search for courses multiple ways. Here are some tips to get you started. Search for specific courses using abbreviated course subjects. You must enter the course subject exactly how WSU lists it.Example: Human Development is abbreviated as H_D, not HD. Search for specific University Common Requirements (UCORE) or Writing in the Major [M] courses using the category abbreviation with brackets.Example: Enter [QUAN] to search for all UCORE Quantitative Reasoning courses offered. 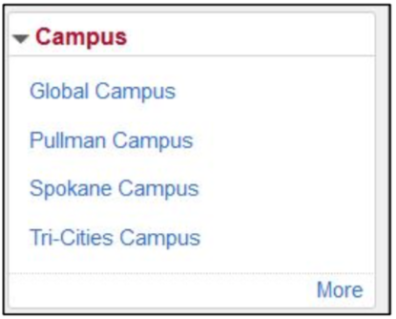 After you submit a keyword, course subject, or other search term, be sure to select Global Campus from the left navigation Campus menu to show only Global Campus courses. By default, your search results will first show only classes that are open. 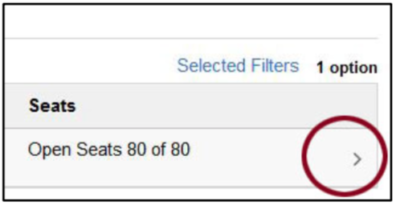 If you would like to see all courses available—even courses that are full so you can add yourself to the waitlist—remove the search option called Open Classes Only by selecting the circled X shown within this option. If you are searching for business courses, pay special attention to the Session. Global Campus courses are indicated as CCB 7 Week Session (1 or 2). Brig sessions are for students studying abroad in Brig, Switzerland. When you are finished adding courses, click Manage Classes from your myWSU Student Homepage, then View My Classes to view your entire schedule for the term and confirm you have all the courses you want.